From Apple Pugetsound Program Lib. Utility and miscellaneous program. $18.50. 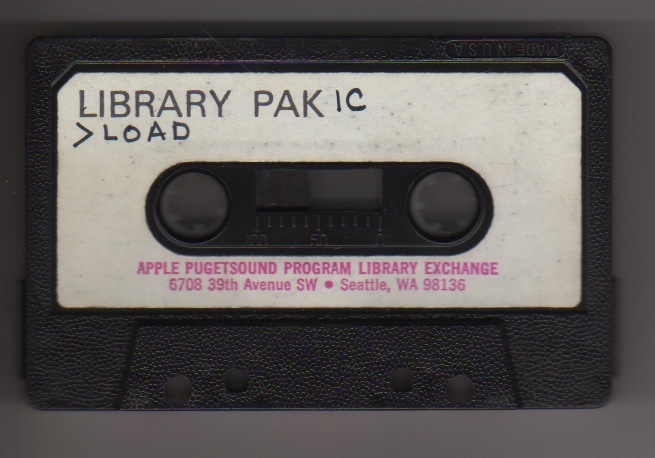 From Apple Pugetsound Program Lib. Utility and miscellaneous programs. $5. 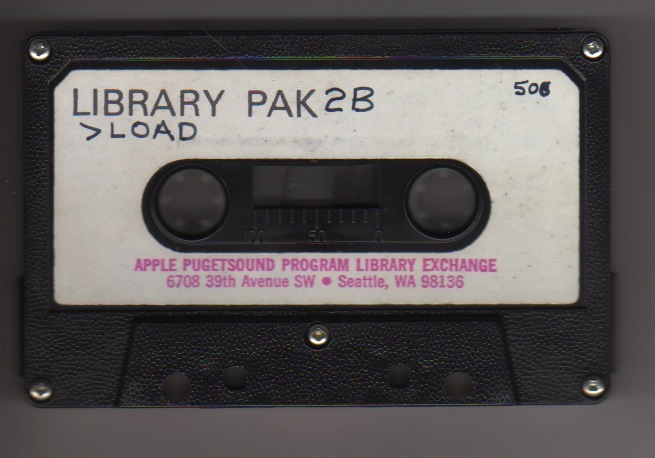 From Apple Pugetsound Program Lib. Utility and miscellaneous programs. $5. 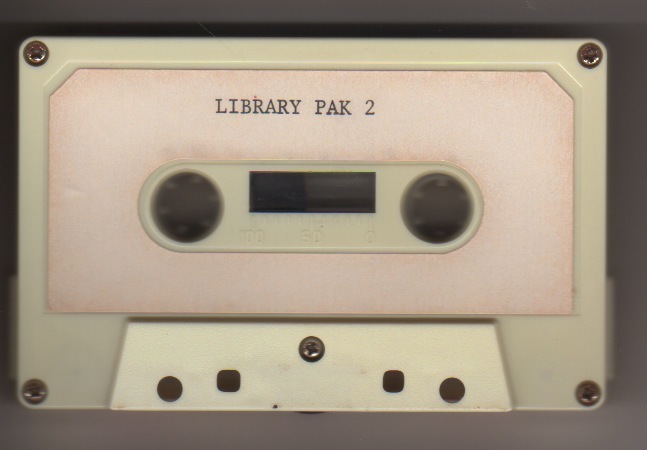 This cassette contains the following programs: Color gamepak I, Color gamepak II, Color gamepak III, Color demopak II, Holiday greetingpak, Battleship, Nightmare gamepak. From Apple Pugetsound Program. Utility and miscellaneous programs. $5.